I set out to write about the cars I’ve had over the past 35 years, but 4000 words later, I ended up writing about the many fond memories I’ve had around car ownership and life in general. This is part 7, the final part. 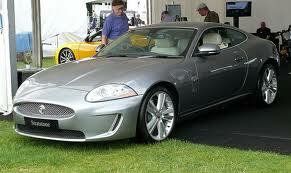 My first ever Jaguar was the chosen replacement and a shiny new 3.0XFS in metallic black was duly purchased. This was an oil burner (diesel) buy boy could it shift and it returned 40+ MPG on a run. 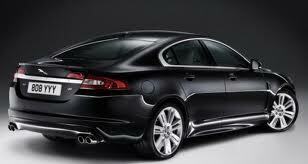 Not many stories to share about the Jag XFS really. It’s a stunning car and has been voted European car of the year for the past 3 or 4 years, knocking the Germans off the coveted title that they held for the previous decade. The only thing I didn’t like about it was the driver’s seat, i.e. it was a high-sided sports seat that I found uncomfortable on my right leg. I suppose it could have been something to do with the width of my backside, but that’s nit picking an otherwise excellent car. However, after only 18 months into Jaguar ownership and all of the good things I’ve said about the XFS, I’ve just swapped it for a Jaguar XK in liquid silver. Since its launch I’ve admired the XK but I’ve talked myself out of owning one on the rational that packing a 5.0L engine and with only 2 very small back seats it might not be entirely practical. I don’t know whether it was the fact that I’m having a longer mid life crisis than most or that I’m just a petrol head who will never change that allowed me to be seduced by the XK. I have to say that its one of the most stunning cars I’ve ever owned it’s absolutely beautiful and its mechanically excellent. I’ve only had it for a week, but it’s already rekindled the feelings I had when I owned the TVR only the driving experience is significantly better. So there you have it 18 cars spanning 35 years and all with their own memories and story to tell. Some people have asked me if I had names for the cars. Whilst I called them a few names that can’t be repeated here on numerous occasions, I have to admit I wasn’t one for giving my cars names. In terms of takeaways, cars have certainly come a long way in 35 years, the rust worm is a pretty much a thing of the past, self servicing is a thing of the past due to complex electronics and thankfully it’s much more difficult to steal cars these days. In terms of cost my first car depreciated at £1 per month, whereas the last but one depreciated at £1000 per month, ouch! I’m not sure if that’s progress or not! Great to read the whole of the epic car saga. As per your tweet, real life in blogs always the most interesting (and entertaining).